WWE Monday Night Raw Results: After Payback 2017 which concluded on Sunday, April 30, it’s again time for WWE Raw streaming action. It will follow the storyline set by the latest pay-per-view (PPV). Tonight’s wrestling show is set to start at 8 pm ET on the USA Network from the venue – Golden 1 Center in Sacramento, California. Bliss, Fox, Emma and Jax defeated Bayley, Banks, Brooke and James. Luke Gallows defeated Enzo Amore. Gallagher, Tozawa and Swann defeated Kendrick, Nese and Dar. Apollo Crews defeated Heath Slater. Austin Aries defeated TJ Perkins. The Miz defeated Finn Balor and Seth Rollins. Braun Strowman will boast his power as he defeated Roman Reigns by dominating in the match completely. It was the main event. WWE Payback saw the changes in the champions. Chris Jericho became the new United States Champion while Alex Bliss became the first woman to hold both the Raw Women’s champions and SmackDown Live champions belts. Hardy Boyz successfully defended their title, but they broke down in the process. Watch: Met Gala 2017 Live Streaming. For the Payback main event, most of the people had hopes that The Big Dog could defeat Strowman by overcoming the odds. But, that couldn’t take place. Instead, we all saw Strowman brutally beating Reigns and even more after the bell rang. It looks like Reigns has suffered some serious injuries again. It looks like he will again off the television. But, for how long? After this, will Strowman challenge Brock Lesnar, the Universal champion? Out of surprise, Chris Jericho defeated Kevin Owens to bag the US title. It is surprising as according to some-off info, Jericho was about to leave for the tour with his band. So, earlier, we thought that he would take a break after Payback PPV. We won’t see him tonight because it was proposed that if he wins, he will have to join WWE SmackDown LIVE. And we may Kurt Angle expressing his frustration over losing a superstar. Check: WWE Payback 2017 Results. And the most surprising stuff was that Alexa Bliss became the ever woman to win both the Raw and SmackDown Women’s Championships. So, we can hope that Bliss’ reign of terror storyline will kick off tonight. But, will Bayley be getting her rematch? If yes, then, when will it happen? During the WWE Payback pre-show, Sasha Banks emphasized that if cheating helps, Bayley won’t hesitate to do that. Sasha may interfere during the re-match of Bayley and Alexa Bliss. Cesaro and Sheamus brutalized Jeff and Matt Hardy. The Hardy Boyz were destroyed in the last night match. And Jeff even lost his one tooth. Is it the perfect time to start the ‘Broken Matt’ gimmick? Let’s wait and watch how the storylines develop when the Raw kicks off tonight. 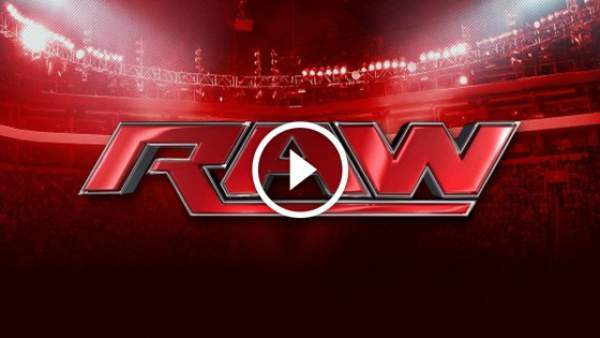 Stay tuned as we will update WWE raw results at the earliest.